LONDON, United Kingdom — British department store Debenhams has announced the first site earmarked for its much anticipated in-store gym concept in collaboration with fitness chain Sweat! Launching in Sutton, London in September 2018, the 17,575 sq ft site will target a younger female base and feature a selection of Debenhams products to suit health and fitness lifestyles. The facility will be followed by two further sites in Bristol and Manchester, which are earmarked to open in 2019. “Through partnering with Debenhams we are able to offer members the convenience of having a workout, and shop as well as meet friends in a friendly and welcoming environment. We are excited to take the initiative to key urban cities, Manchester and Bristol in 2019,” commented Frank Reed, CEO of Sweat! Gyms. ”The Sutton gym will be the sixth in Sweat’s! chain and our first located within a shopping environment,” he added. 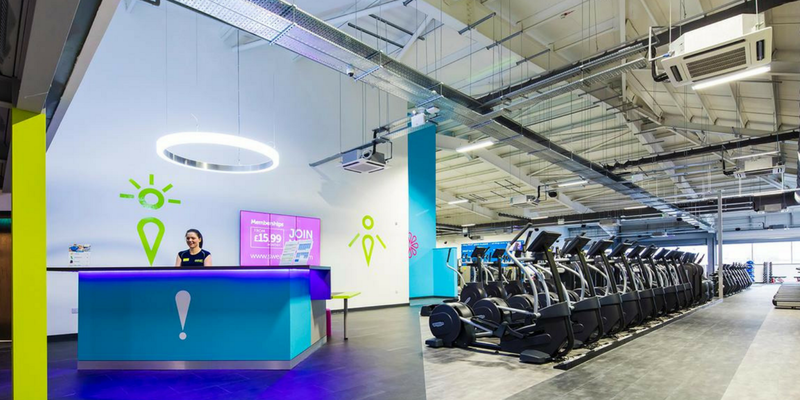 The initiative, which is part of Debenhams’ strategy to deliver ‘social shopping’ will see a friendly, group-oriented and performance driven gym experience offered in locations within Debenhams stores. Each space will be fitted with state of the art exercise and health monitoring equipment including Technogym apparatus, immersive cinematic exercise activity areas and digital health checkpoints. It is hoped the initiative will drive footfall at a time where shoppers are deserting the high street in favour of online solutions. “We believe that by teaming with Sweat! we will optimise the space that is available in some of our stores whilst offering an attractive and credible leisure experience to customers,” explained Sergio Bucher, CEO of Debenhams. “The partnership is a step closer to establishing Debenhams as a Destination for leisure experiences and gives customers more reasons to visit us more often,” he added. According to Bucher, adding a highly innovative leisure facility like Sweat! to its stores is an integral part of the Debenhams Redesigned strategy to deliver ‘social shopping’. To boost engagement further, the partnership will see in-store shopping incentives offered to gym members which build the more that they visit the gym.